The Indian Test Cricket Team finds itself at a critical crossroads after the departure of its batting bulwarks in Rahul Dravid and VVS Laxman. The departure of these mainstays may have been on the cards for a while but when it did assume an official hue, the sense of loss that followed was telling. After serving the nation unstintingly for over a decade and a half, both Dravid and Laxman can take pride in playing a leading role whilst transforming the fluctuating fortunes of an under performing side both at home and away. Their retirement after the team's twin debacles in England and Australia has certainly left a gaping chasm in the line up. The "Fab Four" has been effectively dismantled with the retirement of Ganguly, Dravid and Laxman. The evergreen Sachin Tendulkar is the only one who remains. With a frenetic season of Cricket at home in the offing that kickstarts with the two Test Match Series against a beleaguered Kiwi side, Team India now prepares to endure the rigours of Test Cricket without its sterling stalwarts. 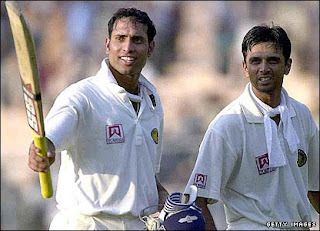 Granted the fact that life without the solidity of Dravid at Number Three or the lazy elegance and reliability of Laxman in the middle order will not be easy and is certain to take some getting used to; however, it presents a band of promising and eager youngsters the opportunity to usher in a brand new era. The likes of Cheteshwar Pujara, Ajinkya Rahane, S Badrinath and Suresh Raina who have been on the fringes of Test Cricket for a while; now have the chance to cement their places in the Test side in the months to come. It maybe impossible to fill the void left by our "golden generation", but these gritty Cricketers certainly have the talent and temperament to not just carve a niche for themselves, but also seize the moment and put in performances worthy of emulation. The fact that India would be playing ten Tests in the near future, on predominantly batter friendly wickets at home would serve as an added advantage in aiding their gradual transition. While one school of thought is in favour of blooding youngsters into the side at home, giving them ample time to find their feet and settle down; there is another quarter that questions the efficacy of the move. The likes of Tendulkar, Ganguly and Dravid made their Test debuts abroad against quality bowling attacks. For that matter, even Virender Sehwag debuted on a seaming wicket against South Africa in their backyard. All these players shone on their debut outings, despite the adverse conditions and match situations - a testament to their sheer resilience and hunger to succeed at the acme of competition. In a stern baptism by fire, even a young Virat Kohli came of age in Australia against a fiery attack that had instilled the fear of God into the Indian batting line up on the recent ill fated Tour, Down Under. Are our myopic selectors blundering by bringing in a few youngsters whilst playing at home, instead of throwing them into the deep end of the ocean whilst playing away? Does this reflect a telling lack of confidence in their abilities to perform admirably against more hostile attacks on difficult wickets? Are we grooming a "soft" set of future Cricketers? 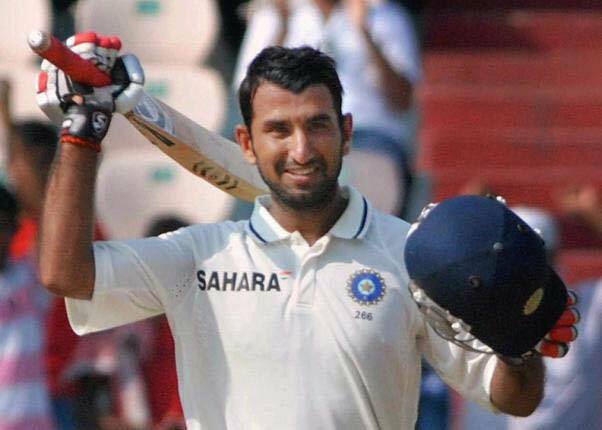 Can Pujara make the step up? Whatever be the case, at the end of the day, a batsman's true calling lies in preparing himself to perform in myriad conditions, on varying tracks both at home and away. No matter how much talent, prowess and natural ability one possesses; there is no substitute for exposure at an early age. Thus, the earlier these players are nurtured and prepared for what lies ahead; the greater the chances of them being able to live up to their potential. Granted they have humungous boots to fill, but with the right planning and investment in the future; the painful period of transition can be undertaken with greater ease and productivity. The BCCI and Selection Committee also ought to draw up prudent and carefully calibrated future courses of action that take cognizance of the imminent retirement of certain other players who are nearing the end of their respective careers; instead of adopting short term "band aid" measures that in the long run can prove to be counter productive. There needs to be adequate planning infused in the process; facilitating the growth of individuals and the team at large. For now though, the future prospects of the Indian Test side do look promising in the hands of a talented crew of youngsters. However, there is a major disparity between potential and performance. Only time will tell whether they are up for the challenge and capable of translating potential into consistent performance. The heady tides of transition are striking the shore...a glorious era may have come to a denouement...a new era beckons with the fragrance of an exciting future.